…but the gaul of the powers that be at Face Book really give me no choice in the matter. I am really enjoying being on that show (not to mention all the attention I am getting now as the new “Bad Man” on the block now that JR has gone on to his reward – Larry was a delight BTW. Great guy) so I decided to request admission to the group so I could play around in there. It took about 30 seconds for the administrator to let me in. It’s good to be Jim! Fun stuff. Kind of like a cyber personal appearance without the cold hot dogs! So… the next morning I wake up only to find that Face Book has decided that I am not me. Face Book being such a huge company couldn’t possibly be wrong so I wonder who I am if not me? Their cavalier decision didn’t end there… no. They didn’t contact me or ask me any questions… they deleted all of my accounts and pages with the push of a button. So now my weight loss groups and my fan pages and my link to my blog and my etc. etc. etc. are no longer. I responded to their email telling me that they had done this with a scan of my valid Passport. They said it wasn’t enough to prove that it was me. I sent a photo of my license. If they still respond in the negative I won’t pursue it any further. I will wipe the dust of FB from my heels forever and continue writing here and tweet the occasional tweet. Do you think it’s right for the holders of the switches that control the power of a public platform the size and stature of Face Book should be able to negate years worth of work and association both personal and business with the flip of a switch without any warning to those that said flip switching will effect the most? Judge Jim Cryer spotted in Savannah today! Good thing he got out of there before the trolly reached him! I hear Candice is driving!! I love Savannah. Such a beautiful city! I’ve loved you every since I saw you on the Dukes of Hazzard and then I watched Smallville cause of you and The Haves and Haves nots because of you being in it. I think you are the greatest I love you as an actor and singer and everything you do you are the greatest. I love all shows you are on I watch the dukes every since they brought it back to cmt and I watch smallville cause of you and I watch the haves and the haves not because of you. You are the greatest !! love you always. That’s terrible John. I am so sorry. I really wanted you to join my group as well. It’s called the Haves and Have Nots Discussion Grouphttps://www.facebook.com/groups/255876704581882/ and I’m really sad to hear this about Facebook just deleting you like this. Many of your castmates had joined as well and it would be and would have been a great wonder if you had or will join us. Please don’t lose hope in facebook for us fans Love You John. You’re a wonderful actress and you inspire me. I know you’re really mad but please don’t give up John. Loving you and the cast. I’m addicted to the show. Maybe Facebook was jealous because you were socializing with the little people Facebook needs to get it together ASAP. There a lot of addicts that will soon be filling complaints. Just proves they are paying attention…it’s all good! Sad to hear about this, I am still filleting you on twitter. You’re are still so handsome. When you have an issue that you can do nothing about except fuss and fume, the best thing is to leave it in someone else’s hands(God has done the best job for me.) Then look around, find someone in need, and just be a blessing. Call a friend who needs encouragement, find someone who would get a big lift just from you sharing your time and talent. It’s easy to start, you just say:” God this is your problem, you know all about it, I cast my care,” and really forget it; don’t worry or even talk about it. Then when it all works out, just be thankful . I’ll be glad to know how this works out, or if you even see this. I am 1 of the ADDICTS n it was SUCH an HONOR havin u visit wit us is there anythingnWE CAN DO? 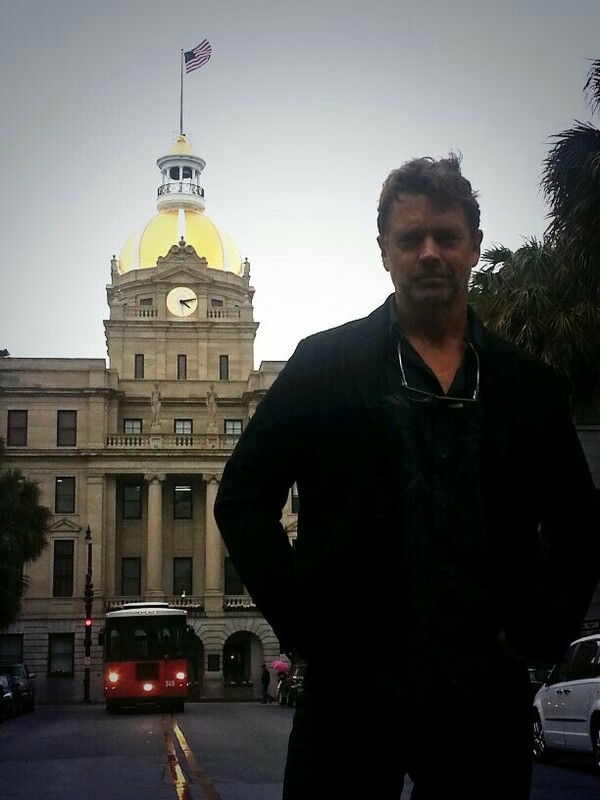 Start a PETITION, WRITE, CALL, PICKETT, BOYCOTT LOL Do the REALIZE they r TAKIN JIM CRYER, JONATHAN KENT N BO DUKES fr their FANS, notm2 MENTION 1 REALLY NICE GUY Mr. JOHN SCHNEIDER who MAKS THEM POSSIBLE. I hate that FB is up to their antics again. But at least we now know how to connect with you outside of social media. Love the show!!! John sending you kisses… you and Judge Jim Cryer… Now, can I get $100.000.00 and a little red sports car like Candice… LOL!!! Love THE HAVE AND THE HAVE NOTS!!!!! You guys are awesome!!! !